Find a meadow near you, plan a walk or get involved with a local community and help conserve the UK’s meadows. "My Coronation Meadows idea came to me when I read Plantlife’s 2012 report and fully appreciated just how many wildflower meadows had been lost over the past 60 years. This year, we are celebrating my mother’s coronation so surely there is no better moment to end this destruction and to stimulate a new mood to protect our remaining meadows and to use them as springboards for the restoration of other sites and the creation of new meadows right across the UK." - HRH The Prince of Wales, March 2013. 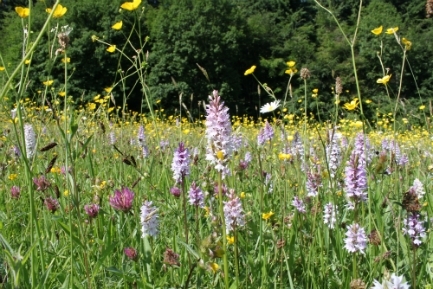 90 new meadows, totalling over 1000 acres, have now been created through the Coronation Meadows project. 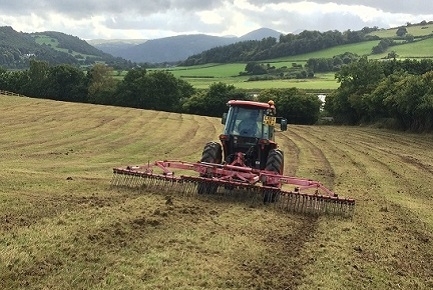 If you’re inspired to create your own, we offer help, advice and services to create new Coronation Meadows in your area using natural seeding techniques that preserve the special local character of our meadows. 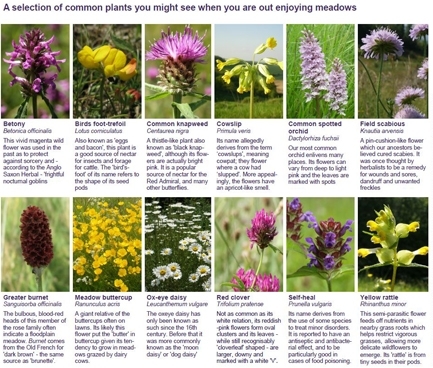 Click here to download a guide to some common plants you might spot when you are out enjoying meadows. This project has been funded by Biffa Award, a multi-million pound fund that helps to build communities and transform lives through awarding grants to community and environmental projects across the UK (www.biffa-award.org).